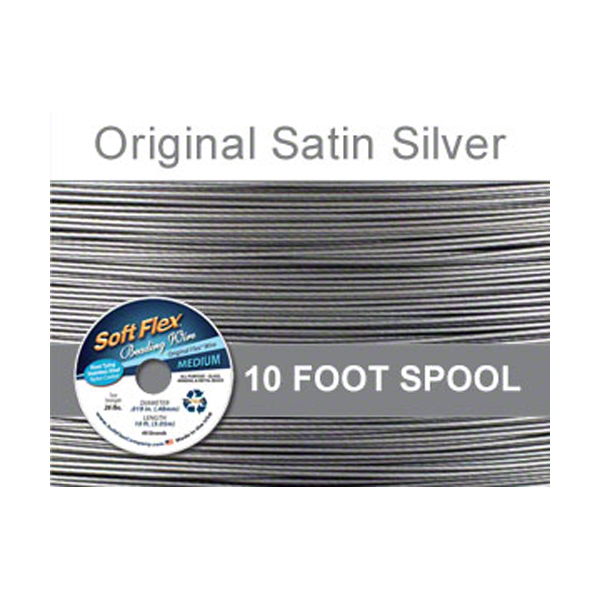 Original Satin Silver Soft Flex® .019 Diameter, 49 Strand, 10 Feet. This shorter length is ideal if you are just getting started beading or you need to make just a couple of necklaces or braceles. Teachers, this is perfect for your beading class projects. Ideal for multipurpose: Use with glass beads, stone or metal. All Soft Flex® products are 100% recyclable. The nylon coating is derived from renewable resources and can be recycled. The spools and clips can be recycled through your recycle bin.